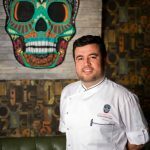 Mexico lovers take note! There’s more to this beautiful country than beaches and guacamole. 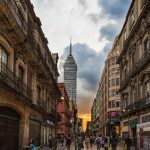 And, yes, while those quintessentially Mexican vacations are a great way to unwind and chill out, the Spanish Colonial cities in the interior of this beautiful country are filled with culture and exciting history. 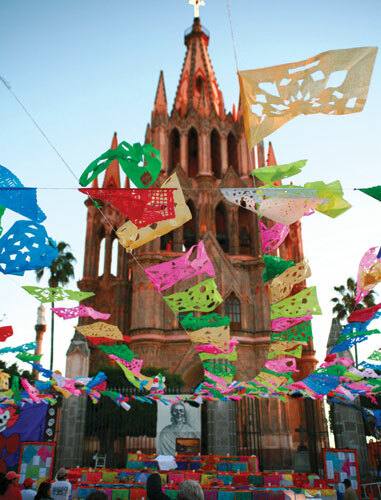 San Miguel de Allende is a tourist destination, artist colony and an authentically romantic Mexican town all rolled into one. It’s a place where expats and locals mingle together. In fact, out of the total population of around 80,000 in this city the expat number is estimated at around 12,000. It’s a safe and charming colonial city where cobblestone streets and lively festivals make for a vacation of a different kind. Calling it an architectural utopia is an understatement, as you could walk for endless hours admiring the many ornate and elaborate doorways, baroque and neo-classical colonial structures and beautifully manicured landscapes that adorn this city. It sits at approximately 6,000 feet in the mountains of central Mexico just north of Mexico City and easily accessible via a connecting flight through Mexico City into Léon or a 3-hour drive from the Mexico City airport via a modern and safe highway. 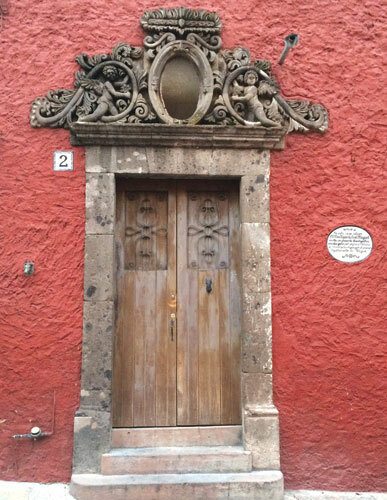 San Miguel de Allende’s beginnings date back to 1542 when a Franciscan Monk named Fray Juan de San Miguel came upon the town and named it San Miguel. 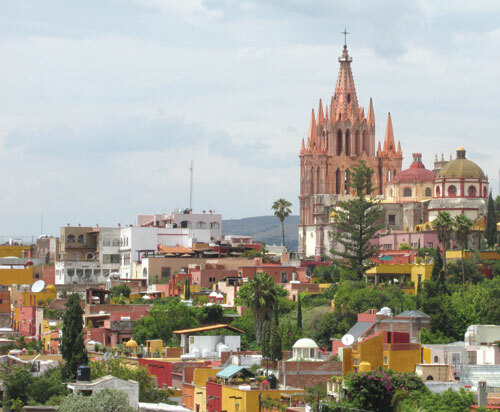 Later, in 1826 the town was renamed San Miguel de Allende after General Ignacio Allende who was instrumental in the Mexican War leading to Mexico’s Independence. At the center of town is its main plaza, known as El Jardín (The Garden) where fireworks, festivals and wedding processions are an almost daily occurrence. The main church and San Miguel’s iconic landmark, La Parroguia, is a towering structure dating back to the 17th century, although its neo-gothic exterior was added in the 19th century while the remainder of the building is baroque in style. It’s bell towers begin chiming early morning and continue to beckon you all throughout the day, as do the many churches in the town’s historic center. The city is filled with quaint restaurants and cantinas but there is also an established element of sophistication here. I was in town to attend an annual art festival known as “SMART,” where art, music and food come together to celebrate local and international modern artists. There are restaurants galore here ranging from very local cuisine to international fare. “El Correo” served the best tortilla soup in town (or anywhere, in my opinion) and Moxi in the Hotel Matilda satisfied my inner foodie with an elegant farm-to-table menu including locally sourced organic cheeses and meats. 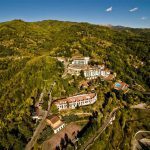 Hotels range from the uber chic Hotel Matilda, with a beautiful outdoor pool, contemporary decor and laid-back spa, to the traditional and classic Casa Sierra Nevada. 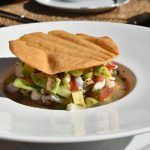 The Rosewood Hotel, the new “grand” hotel in town has a rooftop restaurant serving tapas with a spectacular view of the city and a wine cellar paying homage to Frida Kahlo. On the boutique side, El Masón easily owns the trendiest and coolest lounge in town but my favorite boutique hotel had to be El Palomar just off the main square (see full review at end of article). You could shop for hours on end here as well. Art galleries, craft stores and clothing boutiques are all bustling, especially on weekends when the town really comes alive. And if it’s adventure you’re looking for, San Miguel serves up a hefty dose of hiking, hot air ballooning and horseback riding all within a 20-minute drive to Coyote Canyon. 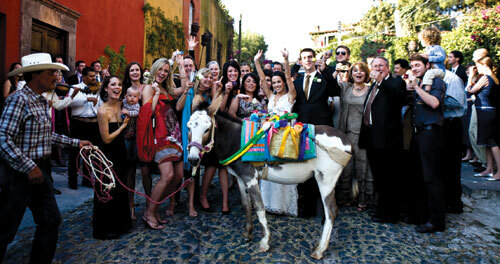 In essence, San Miguel de Allende might just be the perfect destination for families, honeymooners and singles. 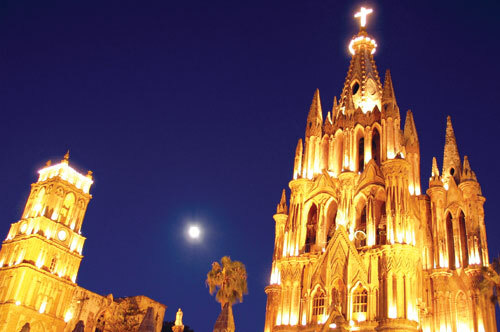 It’s the perfect city for anyone looking to take his or her Mexican holiday to the next level. Recently opened in 2013, El Palomar is a contemporary, yet classically Spanish colonial-style boutique hotel perfectly situated just up the road from the city’s main square on San Francisco Street. Converted from an apartment building with just 10 rooms, the hotel’s owner, Alvaro Zubeldia, had the vision and ingenuity to transform this building into one of the San Miguel de Allende’s most unique accommodations, perfect for anyone looking to feel like a local living in their own private Mexican hacienda. 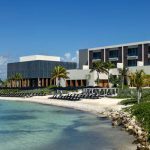 With an open-air courtyard at its center, the surrounding rooms offer a chic and comfortable stay with interesting design elements thrown in. You might encounter a sink sitting atop an antique bike in one room while another room, one of their suites, offers a luxurious stone whirlpool. You’ll be hard-pressed to find views at any other boutique hotel in town comparable to those in some of the rooms here. 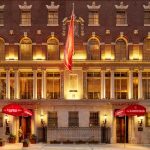 With just 10 rooms in total, the service is both attentive and polite, respecting your space yet always available for prompt service. And while the rooms and courtyard are by far the best I encountered during my stay, it’s the rooftop that really takes this gem of a hotel to the next level. With a small infinity pool and full service bar, the sweeping views of the San Miguel de Allende from this rooftop are nothing short of spectacular. It’s the perfect retreat to cool off after a long day of touring through the city while offering outstanding sunset views. El Palomar is definitely paradise found in this magical city.